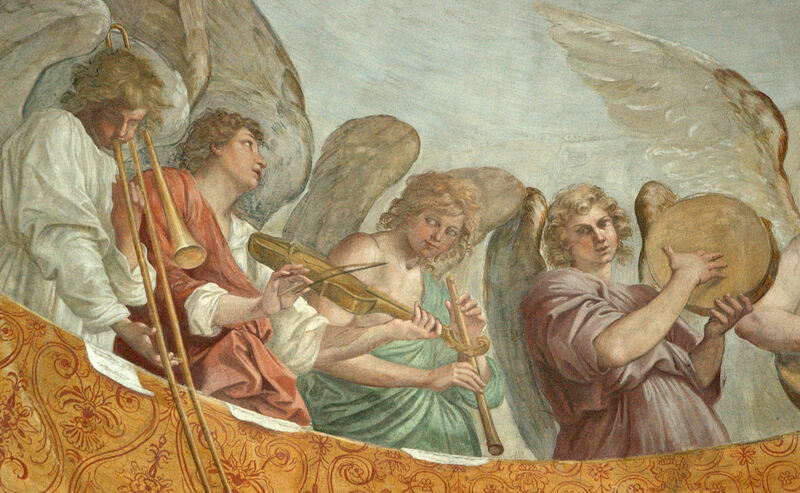 I just added the below entry and picture to the Serpent & Ophicleide History blog post. There are now 125 images in that post! If you scroll through the images, you can see the trend of military and church settings for the serpent. 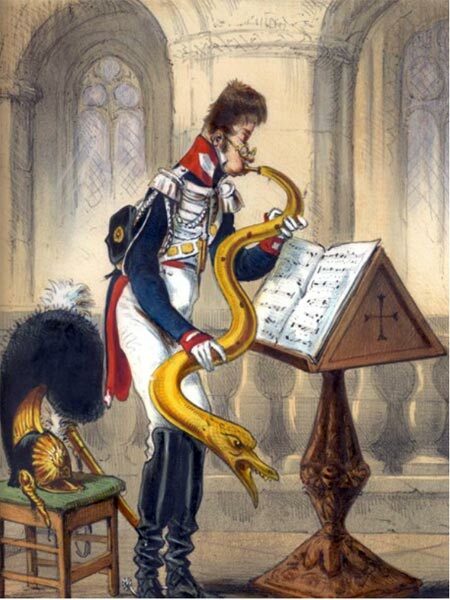 1862-71—Paris, France: A caricature by Draner (Jules Renard) from his collection, Types Militaires, reflects the two traditional homes of the serpent: church and military (see below image; public domain).